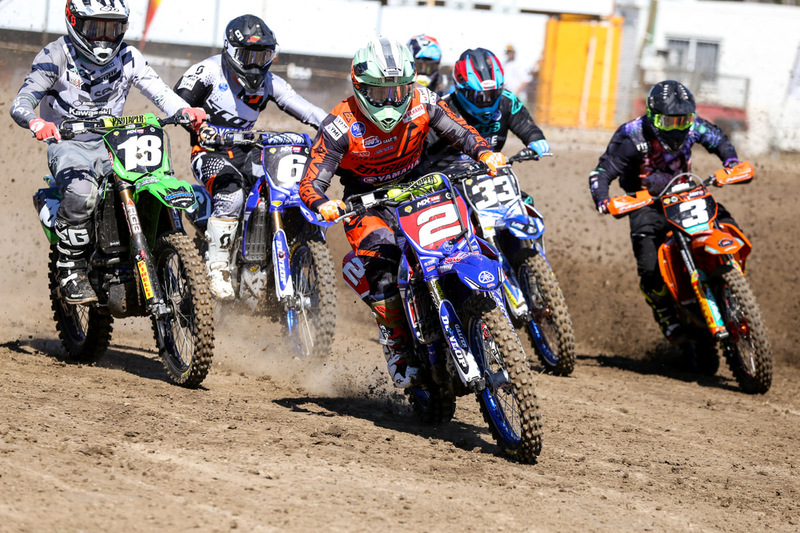 A selection of riders detail round nine of the 2018 Pirelli MX Nationals at Gladstone, Queensland. Team and privateer competitors can submit comments to [email protected] by Monday afternoon after events for inclusion in the post-event Quotebook feature. As I said earlier in the week, my plan was to just keep doing things as I had been doing them and nothing really changed despite the fact there was a championship on the line. Maybe the biggest thing for me today was that I actually won Super Pole, as I have been pretty ordinary in those things this year, so it was good to get a good lap in and get a little boost going into the first moto. But overall, this year has been a dream for me and It’s been awesome to work with some great people and companies that support me. It’s also good to have plenty of friends and family who made the trip up from Kyogle to be here for me means a lot. My partner Renae has to put up with a lot as I can get pretty intense at times and she does a great job looking after our little family. I love that she is a part of my life. The CDR Yamaha Monster Energy Team are the best in the business and everyone works so hard and are so determined to succeed that it motivates me to work with them. Thank you to everyone on the team and are loyal sponsors who also provide us with what we need. Now, with the championship out of the way, I’m looking forward to going to Coolum and just enjoying the weekend. My first championship in 2016 was all pressure with three of us going for the win and last year also had plenty riding on it, so to roll in this year with the pressure off and just for the love of racing is good. I can’t wait! The track was tough today with the deep ruts and hard pack clay and I didn’t really feel 100 percent out there but I was able to keep things moving along and pick up a couple of top five results. It obviously wasn’t as good as the last round where I was on the podium but to finish fifth when things were going great isn’t too bad. Coolum is a bit of a favourite track of mine so I’m really looking forward to next weekend and positive to finish the motocross season of strongly. Sixth overall isn’t where I want to be and it isn’t where the team wants me to be. It was one of those days – I’ve been experiencing some personal issues and it definitely took a toll on my mind today. I wasn’t really with it today, but I just tried to push through it and salvage some points. The bike was really good and we made some good changes recently, but I just didn’t gel with the track. I didn’t put myself in a good position to start off with and that kind of hindered my results. I’m looking forward to Coolum and I think we should have a good weekend. It just wasn’t my day, even with the sixth in the first moto. In race I just couldn’t find a flow, and that cost me in the end. 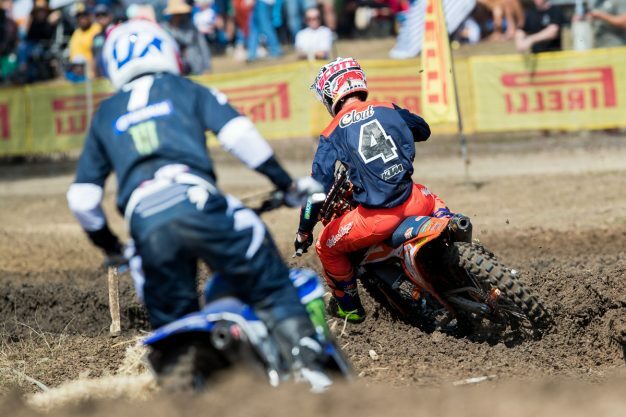 The second race I got caught up in one of the ruts and went over the bars, I got back up and started coming through the pack, but then I had an issue – it happens and it is motorsport. I’m looking forward to Coolum and I’d be pretty happy if I could finish out the season on the podium. Having kids leaves you susceptible to getting colds and I was concerned when I came down with this one, that it may affect my performance. It’s lingered for over a week and definitely impacted my weekend. We made a few adjustments to the bike during practice and I felt very confident during qualifying. Our lap times improved as the day went on and I am very pleased to come away with second place. Moto one was good and bad, I wanted to win and I pushed several times for the lead but there were limited areas to pass and I had to settle for second. I want to congratulate Dean on the championship, he has ridden well all year. I was bummed with race two but I need to accept that my energy wasn’t there – this cold got the better of me. I am happy with another podium but I know and truly believe we are capable of winning races. I’m really happy with the weekend. Although I didn’t hole-shot, I was in the lead group from the start and was able to push through both motos for equal sixth overall, and stay in front of some pretty fast guys. The DPH crew made me feel right at home on the bike and I can understand why so many riders step up when they ride for this team, so I’m glad I was able to give them a solid result. I can’t wait for Coolum next week. Moto one was good and I was confident. I landed on the podium, but to go 2-4, get fourth overall and miss out on the overall win by two points is a bummer. In the big picture, I only lost one point to [Hamish] Harwood in the championship, so it’s good for me heading into the final round. I’m confident with how I’ve been riding, but it’s all going to come down to next weekend. There’s no one else to worry about, I’ve just got to battle it out and hopefully secure a podium position in the standings. Although it was possible to win the championship today, I tried not to think about it and I knew a lot of things had to go my way for that to happen, so I just tried to ride the best I could and let the results take care of themselves. I got a great start in the first race and moved into the lead only to fall in a turn out the back. When you go down early in the race, even for just a few seconds, it allows the whole field to get by so I was a fair way back and had a lot of work to do to get back near the front. I pulled through to sixth which wasn’t great but was good enough to get some points but I was also able to have a good look at the track and a few new lines for moto two. Moto two was better. I got another good start and was in front right away. I could see Jay behind me and tried to keep him at a safe distance. He put in a big charge on the last few laps, but I was able to hang on for the win and to finish up on the podium was pretty good. Thanks to Serco Yamaha for all their support. Even though Nathan is out injured, they whole crew continue to come to the rounds and help me and the bike is working well at the moment. I will try and take the same mindset into the last round. I want to ride well as I like riding Coolum and there is always a good crowd and atmosphere there. I had no idea I had won. My pit-board said I needed to win the race to win the overall and I got right up to the back of Wilson Todd but never passed him, so I assumed that I didn’t get it done. Then when I stopped after the finish, I was told I did win and it was a bit overwhelming. We have all been working hard for this result and apart from one bad moto at Raymond Terrace, we have been pretty close at a lot of rounds this year, so it was nice to get it done. Both Richie and I were up front all day and results like that just lift everyone’s spirits. It’s awesome to go to the truck and everyone is happy and smiling. It was good to get back out there and be up front and in the battle. I haven’t lead many laps at this level before so when I got to the lead I tensed up a bit and rode tight but the more I keep putting myself there, the more comfortable I will feel. The track today was difficult and with the lead up I had I was pretty tired at the end of each moto but it feels good to leave here with a top five result and hopefully at Coolum I can go better again. Thanks to the team for their hard work and I want to finish the season on the podium at the final round. It’s not the weekend I wanted at this point in the championship. I got off the line well and rode to fifth in race one but just couldn’t push the way I wanted to. For race two, the track got rougher, and the ruts deeper and, although l kept it under wraps, I actually tweaked my knee in training and I just kept clipping it through corners until I eventually crashed, and struggled to get the bike going again, pushing me back to 19th. I’ll be resting this week as I start switching my thinking to supercross.